Material available at Ahmadabad, Delhi, Daman, Salem (TN) for more information please visit website. Description: Stearic Acid is a fatty acid found primarily in natural animal and vegetable fats. It is widely use in many industries like cosmetics and personal care products, as a fragrance ingredient, surfactant and emulsifier. 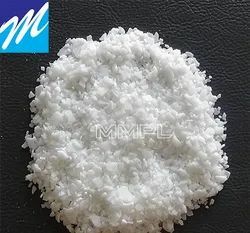 As an ingredient in candles, plastics, dietary supplements, and for softening rubber, It is also used as the base for the manufacture of other fatty acid ingredients which are used as emulsifiers, emollients and lubricants in many industries. Application:- PVC pipes -fitting, electric wire and cable, uPVC pipes-fittings, PVC clothing, PVC furniture, PVC flooring, PVC door-window, PVC footwear, PVC rigid sheet, PVC flexible film, PVC celuka foam board/sheet, PVC WPC sheet, PVC WPC profiles/chokhat, PVC free foam sheet, advertising flex banner, PVC suction-garden tube, PVC rigid/flexible profiles, artificial lather, automotive products and many other PVC application. Looking for Stearic Acid ?